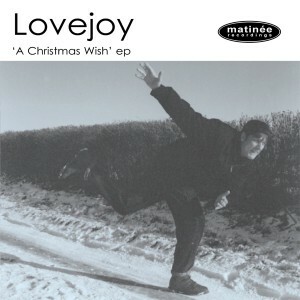 Swift follow-up to the well-received album Songs in the Key of Lovejoy, this limited 7" features three exclusive recordings in the holiday tradition. The superb a-side "I Dream of Angels" is an orchestral song that evokes all the beautiful imagery of Christmas and features guitars, keyboards and magnificent female harmonies. The b-side includes two quite different versions of "Snow Falling Softly," an atmospheric song with keyboards and drums and a nearly spoken vocal that recalls the machinations of Biff Bang Pow! Perfect for fans of House of Love, Blueboy, or the Revolving Paint Dream.